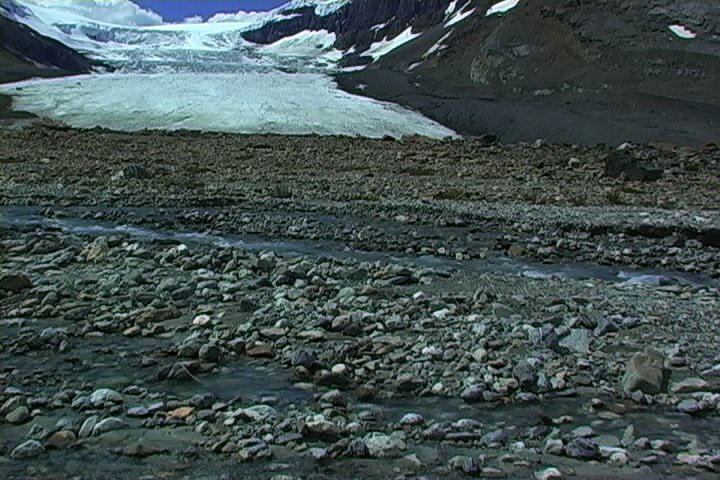 The first images from Antecedents are derived from Super 8 footage shot by my father in 1968 and 1972, at Emerald Lake and the Columbia Icefield in British Columbia, Canada. The original films have been paired with revisits of the original locations shot on digital video. The final sequence presents the Super 8 film, but with the entire image removed, save the dirt, dust and human hairs. In an attempt to reconnect, know or love, individual frames of the film have been edited to extract these fragments of DNA, as they would have been collected by the film projector when these images were screened in the family home. The sound piece that accompanies the original films has been stripped out, and digitally “convoluted”, filtered or added to a minor chord. Everyday, we try to connect with our immediate surroundings in order to derive some meaning about its nature or our nature. Revisiting the original locations is an attempt to “place” oneself in order to give clues to our nature or identity, and the notion of what or whom the “public” is that surrounds us. The passing of time, and “where we are” becomes a subject in itself.